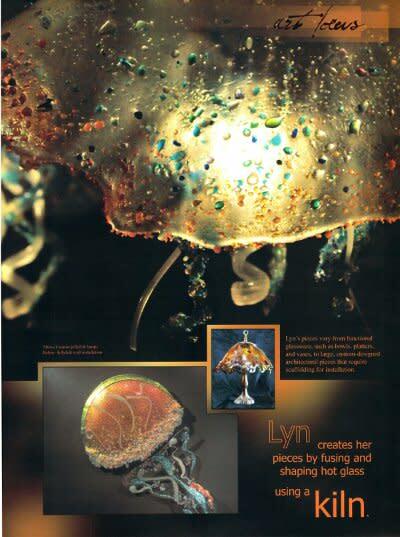 First Tuesdays "Meet the Artist ~ Lyn Gentry"
Lyn uses various glass and processes to create her art. She not only fuses glass but incorporates dichroic glass, glass created with a process that has been around since the 4th century that uses metallic oxides that allow for many colors to be seen within a piece depending on the light reflection. Lyn also uses glow that adds an element of light from within. A piece exposed to strong sunlight can glow for hours.